Helping them is so rewarding.. There are many ways you can help, and benefit, from becoming a volunteer. Read how volunteering can give you a more fulfilling life. New animals are added to our Center everyday. Some of these animals may have been born on the streets or became separated from their owners, and the people at our center work to better the lives of these animals. New arrivals need to be checked, cleaned, evaluated and cared for until a new home can be found. Scanners are needed to search for microchips, a dog may need to be potty trained and so many more tasks are essential to helping our animal companions. Running a shelter takes two very important things: money and people. This is where you come in. 1. Meet new friends. You will be surrounded by people who love animals as much as you do, and they might even become your lifelong friends. This widens your social circle and incorporates compassionate people who share your interest in helping animals. 2. Your efforts will help an animal get ready and increase its chances for a new home. 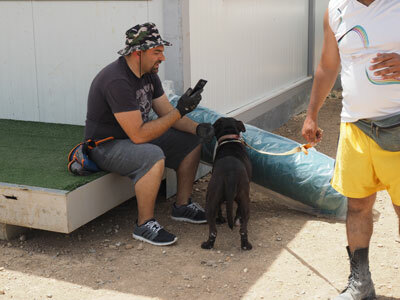 Animals coming into our center vary according to their needs. A cat may need to be socialized, a dog may be under weight. Animals that appear happy and healthy have a higher chance of being adopted, and our rehabilitation center need your help to achieve this. 3. Boost your mood — and your health. Volunteering gives us a sense of satisfaction for helping others, can lower stress, make you feel needed and appreciated, increase happiness and so much more. A study reported on in Natural Health magazine in 2007 showed that 95 percent of volunteers surveyed said they gained a “helper’s high” — a feeling of euphoria and energy. 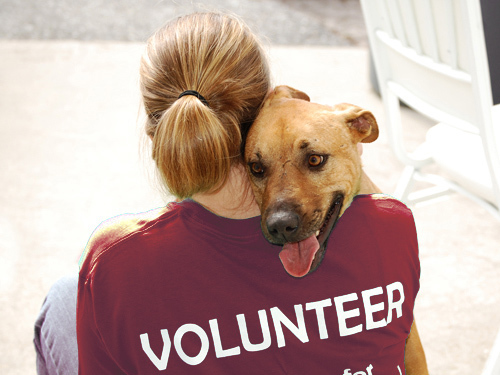 Volunteering truly is a feel-good activity, and what better way to spend the day than with cuddly and furry friends? 4. Gain experience. Whether you’re working the web, grooming or arranging meet-and-greet sessions with potential owners, you are gaining experience in many areas that can have great benefits in other areas of your life. Young adults can become better acquainted with animals, experience a set schedule of responsibilities, and gain a reference for an employment or college application. Working adults may include it on your resume or incorporate our center into their work-related events and charitable causes. Someone who is unemployed can get a boost of self-esteem and confidence by being part of a vital team while looking for work. 5. Trying something new is fun! A new activity can be exciting and a change of pace for a mundane or repetitive schedule. Why not make that something new be volunteering? You will gain a host of other benefits, and the rush of happiness when a pet you helped gets a new “forever home” is nothing short of amazing. 6. Stay active. Being a volunteer keeps your mind, body and emotions active and healthy. Sitting at home on weekends in front of a television can get boring and leave many of your talents unused. Volunteering that time instead keeps you thinking, moving and feeling, and can help increase physical mobility. Besides, playing with a puppy sounds much more fun than being a couch potato! 7. Become part of a very important team. Our Center needs money and people to stay open and you could be that one extra hand that helps another pet get adopted, shepherds through another donation or encourages a new person to volunteer. The animals keep coming, and more people are needed every day. If you can’t physically visit the center, there are other ways to help. Monetary donations are always appreciated and help cover operating costs. Items are also welcomed too: Blankets, toys and even office supplies are always needed. Share some of our animals up for adoption. Children can also help by organizing a fundraiser or getting their school involved with Animals Welfare Awareness and Assistance. No matter your age, location or financial situation, there is always something you can do that will HELP benefit an animal in our center. 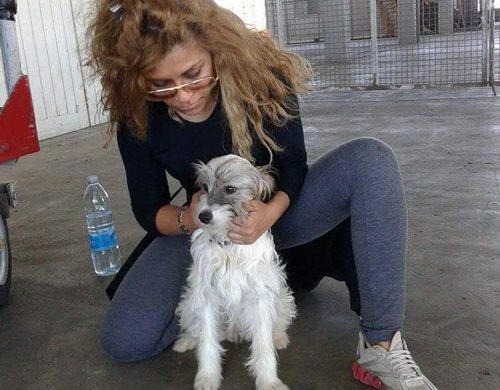 Animals are in our Rehabilitation Center 24 hours a day / 365 days a year. The animals are fed twice a day or more. Their runs/kennels are cleaned at least once a day. Medication and treatment are given to sick and ill animals as prescribed. They are let out to play twice a day. They are worked with to increase their socialization abilities. In short every animal’s needs are met whenever that animal needs us. 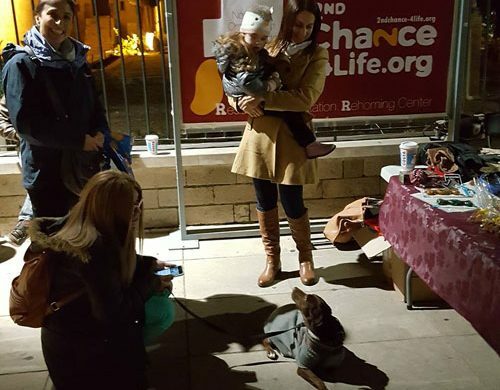 2nd Chance dedicated volunteers come to the center during heat waves, work by candlelight and flashlight during power outages, return on their own time to treat a sick animal or meet a policeman with a stray dog at 2:00 in the morning. Volunteers and employees come to our center because they love animals. They want to be with them, play with them and cuddle them, because it’s fun and makes us happy. It’s a lot of work, most of which is cleaning up after the animals. The reality is that animals can’t feed themselves or clean up after themselves. They need people to do that. They need you! Do you have another skill that you’d like to share? Fill out the form below to tell us how you can help us at the center.